The Tonight Show starring Jimmy Fallon will not be airing this week due to the death of the host’s mother, Gloria Fallon. Tapings were scheduled for the week of November 6-10. Reruns will replace them instead during that period. A person close to Fallon said the mother was ill and in a hospital at the time of the show’s cancellation. Variety reported on Friday that NBC canceled the show’s taping for an unspecified family matter on Fallon’s behalf. E! News confirms that Jimmy Fallon’s mother, Gloria Fallon passed away on Saturday at the age of 68. A representative of Fallon states the host was at his mother’s bedside along with her loved ones when she passed away at Langone Medical Center in New York. While much of Jimmy Fallon’s life is private, it was obvious the host had a good relationship with his mother. In one segment of the show called #MomQuotes, Fallon reminisces about touching memories the two shared. „My mom and I were talking on the phone for the third time that day, and she said ’We don’t talk enough’” the host tweeted. In an interview with Howard Stone for The Howard Stern Show, the comedian and host talked about his mom, stating that she once was a nun for one week before deciding to quit. In the same interview, he shared how his parents met in high school and grew up together. In a 2004 article for a New York magazine, Jimmy Fallon said how his mother would not be allowed to leave her stoop and how his father was part of a doo-wop group while in Vietnam. The people and NBC extended their condolences to Fallon and his family for the loss. The Star Wars movies are some of the most successful productions ever made, and the actors who starred in them will always be associated with the characters they played. However, not all of them were so happy about it. Mark Hamill, who played Luke Skywalker, was a bit skeptical about returning for the seventh movie in the franchise. However, it was Han Solo the one who convinced him to do it. When the seventh movie in the Star Wars series, the Force Awakens, has been announced, everybody got extremely excited. However, this wasn’t the case for Mark Hamill, as he actually spent some time deciding if he really wants to be back in the series to play his iconic character Luke Skywalker. He admitted that he got really scared when George Lucas told him about the plans for a new trilogy. Therefore, he barely accepted the role in the seventh movie, and much bigger action awaits him in the eighth one, The Last Jedi. Hamill thought that bringing the original characters back to life wasn’t going to be successful, and said nobody wanted to see the old versions of Luke, Leia, and Han Solo. However, Carrie Fisher, who played Princess Leia, was extremely excited at the prospect, and agreed to return to the movie. Hamill thought he still had a chance with Harrison Ford, as he was convinced Han Solo wasn’t up to it. However, his amazement knew no limits when even Ford agreed to return to the franchise. This left Luke with no other choice, as he didn’t want to be the one who spoiled the iconic trio. He couldn’t have afforded to piss off an entire world of geeks, so he took the major decision – he returned to the Star Wars movies. Only after did he find out how small a spot he was given in the seventh movie, but worry not, geeks worldwide. He is going to return with a lot of force in The Last Jedi. The Rock and Roll Hall of Fame is getting ready for the 2018 ceremony, and has already released the full list of nominees who are proposed to be inducted next year. The condition for the artists to receive a nomination was to have had their first record released at least 25 years ago. Among the nominees, there are artists who have been proposed before to enter the Hall of Fame, as well as bands who make their first entry on the list. The full list of nominees for the Rock and Roll Hall of Fame contains 19 musicians, nine of which are at their first nomination. Among these nine artists, there are two bands who most surely are an important part of everybody’s childhood and teenage years. Both bands released their debut album precisely 25 years ago, so they fit perfectly on the list. These two popular bands are no other than Radiohead and Rage Against The Machine. 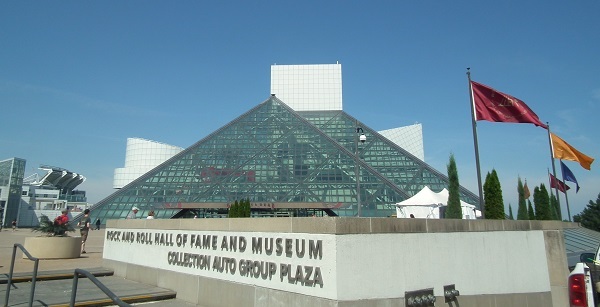 The seven other bands who make a first-time entry on the nominee list of the Rock and Roll Hall of Fame include Judas Priest, Dire Straits, Nina Simone, Eurythmics, Sister Rosetta Tharpe, Kate Bush, and The Moody Blues. The nominee will receive votes from a number of 900 music experts, including artists, valuable members of the music industry, and historians. They will have to judge a musician or band from several points of view, and will consider their history, career, and the degree of influence they had on other musicians. However, you can vote as well. The first five artists who receive the most fan votes will be receive the special fan ballots during the ceremony. Voting is already available on the website of the Rock and Roll Hall of Fame, and will remain so until December 5th. The final list of the artists who are to be inducted will be made public in December. Then, the official ceremony is to take place in April next year, in Cleveland. Who Is Going to Die on Game of Thrones This Sunday? Plenty of fans are pointing towards Cersei as the most likely main character to die in episode 7. 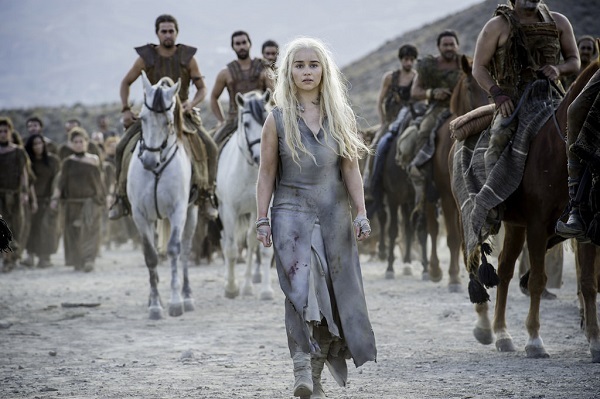 Critics have not been as kind to season seven of “Game of Thrones” as they have to previous seasons as accusations of pandering to the happiness of fans and Internet message boards have been leveled against showrunners, David Benioff and D.B. Weiss. The question many dedicated fans of the HBO show are now asking is will there be a surprise cliffhanger to season seven featuring the death of a beloved character. The history of “Game of Thrones” is littered with the corpses of major characters who died in shocking circumstances at unexpected times during previous seasons. The writers of the show have failed to kill off any of the characters who were expected to play a key role in the coming final season of the show; critics have voiced concerns the show responsible for shocking scenes, such as The Red Wedding has begun to play it safe and pander to the hopes of fans. One of the major problems facing “Game of Thrones” in season seven has been the fact the show has moved beyond the novels of author George R.R. Martin and appears to be looking to drag the majority of the cast along to the final season. 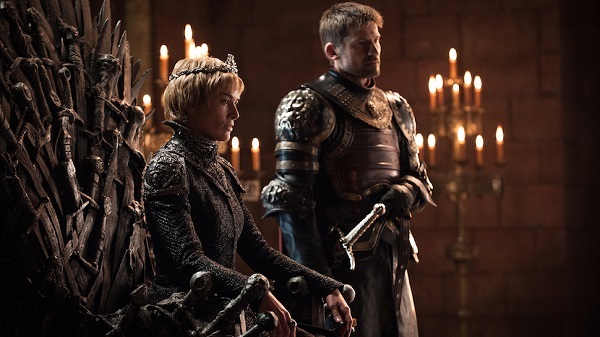 Fans and critics are hoping the feeling of safety and comfort felt for all the major players in the “Game of Thrones” will be thrown out of the window during the finale of season seven. Plot twists have been the currency of “Game of Thrones” throughout the first six seasons, from the beheading of Ned Stark to the use of wildfire by Cersei Lannister at the close of season six the show has always shocked and annoyed viewers. The latest finale is heralded by critics as offering the opportunity to throw open any shocking conclusion to the story that may come in season eight. Game of Thrones is currently the most popular TV show in history, fans generating theories about its hidden meanings faster than the producers are able to kill off major characters. Kylie Jenner confessed that her relationship with Tyga ended naturally. Few can argue that the Kardashian-Jenner family holds a place in the public as true reality star kingpins. Considering their high profile status, the relationship of the youngest sister in Kardashian-Jenner lineup (Kylie) was a religiously followed saga by many. When the relationship with Tyga ended in April of this year, the masses expected a bold headline inducing event for the ages. A he said/she said volley where we could all sit back with some popcorn and cast our lots into the coliseum of speculation was surely to unfold. Onlookers of the public romance were shocked when the relationship ended with a subdued, puttering finale. For a relationship packed with titillating drama, its ending was anything but. Many can catalogue the relationship of Kylie and Tyga as the stuff of imagination starting in 2014. When they were realized as a pair, although not publicly, Kylie was still underage. A fact that was cause for intense speculation and comment from the start. After her 18th birthday, the two become more public as a couple and let the relationship banner fly. After a short split in fall of 2015, the pair made headlines again when Tyga’s ex and mother to son Lion began a relationship with Kylie’s brother Rob Kardashian. A relationship, that in its own right, was an epic unfolding. Chyna and Rob’s relationship aside, the dynamic of the quadrangular relationship perplexed us all. Now we finally find ourselves in the present, the relationship having ended between Kylie and Tyga some four months ago. However, straight from Kylie’s own mouth, there was no grand explosive release of tension. The two simply parted ways, but she definitely implies it was by her own initiation. The young Jenner now finds herself in a budding relationship with Travis Scott and hopes to experience more of young love while still at a youthful age. Time will tell what that story will look like. Overall, as a relationship riddled with quirks and theater, the end of the Kyga dynamic duo seems to of met a mature and otherwise uneventful conclusion. There’s a stark resemblance when Jon Snow speaks of White Walkers as the biggest threat to humankind and the way scientists and advocates talk global warming. Both of these parties are seen as mad persons. No matter how many pieces of evidence there are, the world is still following its old routine with their political, social, and professional problems. Nonetheless, there are other clues that promote Game of Thrones as the perfect display of today’s climate crisis. That’s the same feeling that environmentalists experience when they are trying to convince the world of the threat of global warming. However, Jon Snow in the fictional world of the Seven Kingdoms refers to White Walkers. Another similarity between these two situations reaches leaders’ world. While the only habitable planet is on the brink of irreversible destruction, world leaders continue to place this threat on lower levels of priority. Some of them are even denying the existence of such climate changes altogether. Tyrion Lannister is a fine savvy of the human nature. He tells Jon that people usually don’t have the capacity to deal with such an overwhelmingly large issue. Therefore, they would rather stick with their old issues such as politics or personal problems than trying to solve a seemingly impossible situation. These very words also apply in the context of our reality as well. People continue to carry on with their familiar issues instead of seeing what they can do about a distant danger that might one day wipe out humanity. New Game of Thrones theories emerge with each new episode, and this one was no exception. There are quite a lot of Game of Thrones theories out there, and quite a few have been proven to be true both in past seasons and in the current one as well. Attention! Spoilers for episode 4 will follow! But after episode 4’s epic dragon battle, there are a few more theories that may be addressed in the new episodes. Some of them are specifically about Bran Stark (Issac Hempstead-Wright) and others about Jamie Lannister (Nikolaj Coster-Waldau). At the end of episode 4, Jaime Lannister was last seen floating in a deep pond after a failed attempt to take Daenerys out. Some feared he might die then and there. But given how important he is as a character, some consider this to be quite unlikely. So what will happen to the golden Lannister? Since the next episode shows Daenerys (Emilia Clarke) in front of the Lannister army, it is presumed that she will take the surviving army and also capture Jaime too. If this does happen, some are wondering whether this will this put Jamie Lannister on the path to killing Cersei (played by Lena Hedley). Jaime being the one to kill his sister has been theorized for quite a while. Maggy the Frog predicted that Cersei would die at the hands of her younger brother, which Jaime is considered to be. There are hints in the new episode trailer that Bran and Jon Snow (Kit Harrington) have been communicating via raven. He might also have very well told Jon about his parentage. But the trailer also reveals that Bran knows that the White Walkers are getting closer. As he was branded by the Night King last year, will he be the one to let them in? Or could he be the key to rescuing everyone? Bran Stark is also the Three-Eyed Raven, so many are expecting exciting reveals and tactical moves from him. 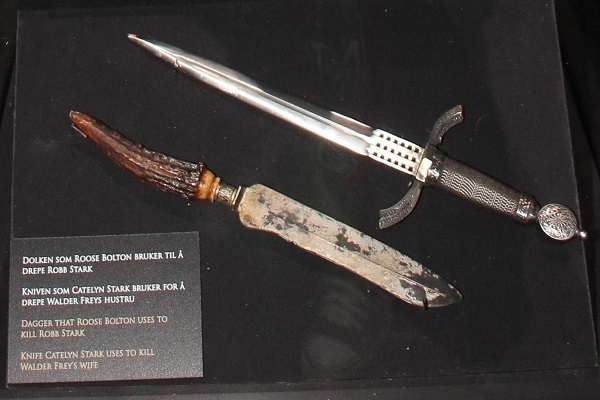 Perhaps giving Arya the Valyrian steel dagger is one of them? Another of the Game of Thrones theories states that he is also Bran the Builder. Fans came to this idea because of his ability to move through time. Did he build the wall 8,000 years ago to keep the White Walkers out? We’ll have to keep watching to find out. But one thing is for certain. Things are about to go down! Marvel released an exclusive footage and a new poster for Black Panther during its SDCC 2017 panel. Marvel revealed a slew of new details about its upcoming cinematic releases, but one of the highest acclaimed ones was Black Panther. During its SDCC 2017 panel, Marvel Studios released a new poster for the movie and also played an exclusive footage of what is to come. The new poster for the film shows T’Challa as he stands atop a panther statue. In doing so, he is looking over Wakanda as aircraft are also across the sky. “Long live the king” is used as the tagline and can be found under the name and production studio, with the released date (2.16.2018) placed underneath it. 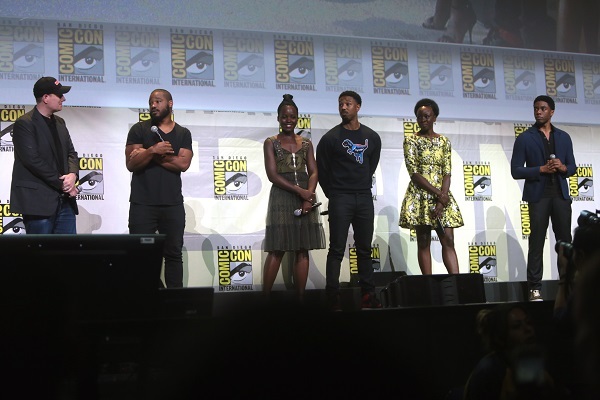 Those attending Black Panther’s panel also got an exclusive first look at footage from the upcoming movie. At least according to reports, it seems that they will be the only ones able to do so. This montage has yet to be posted online and might never be uploaded. Nonetheless, the footage was discussed by many media sources. This first look at the movie features a sequence set in South Korea. It presents T’Challa (Chadwick Boseman), along with Nakia (Lupita Nyong’o) and Okoye (Danai Gurira) dressed in formal civilian attire at a casino. They seem to be shadowing Ulysses Klaue (played by Andy Serkis), the arms dealer. Everett K. Ross, the government agent first introduced by Martin Freeman in Civil War, also makes an appearance as he has a scene with Klaue. Things go rather wild after the casino scene. T’Challa is being chased by a car, morphs into the Black Panther costume as he does so. His return to Wakanda leads to a combat scene on the sound of war drums and later a press conference. The footage then zipped back to South Korea and shots of people in a museum, a car battle, and Killmonger confronting T’Challa, to keep it short. Killmonger also reveals his own Black Panther-like costume, this being gold-hued. Although the footage will seemingly be kept under wraps, Marvel did post the cast’s reaction to the montage, and their excitement almost makes up for it. Meanwhile, we can still watch the teaser trailer, released in early June.